The Natural History Museum is a world-class visitor attraction and leading science research centre. It cares for more than 80 million specimens and uses its unique collections and unrivalled expertise to tackle the biggest challenges facing the world today. 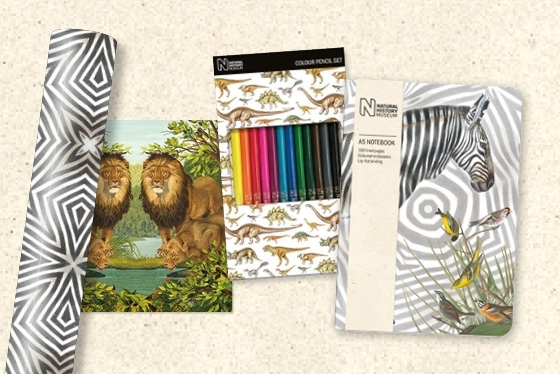 The Museums & Galleries greetings card and gift stationery range takes a kaleidoscopic journey through images and objects held within the collections of the Natural History Museum. From anatomy to zoology, the range encompasses the art of discovery, travel, history and the natural world. To see the full range of our branded products please click on the following link, Natural History Museum Products.